A marriage counselor can teach you relationship skills. 1 What Effects Can Stress Have on a Marriage? Although marriage counseling can be helpful for couples experiencing significant distress, counseling doesn't need to be reserved for major problems. Counseling can be an excellent way for couples to prevent problems and fine-tune their relationship skills. Any couple considering marriage counseling could benefit from even a brief intervention with a counselor; however, certain problems should be addressed by a professional because these kinds of problems can cause significant marital distress if left unattended. Consider the impact conflict is having on your marriage. 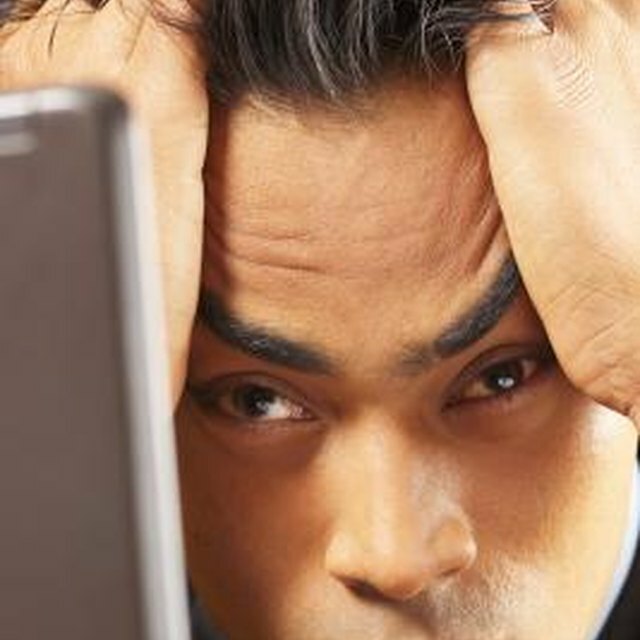 If you are experiencing unresolved conflict, significant problems may ensue. According to a study by the Gottman Relationship Research Institute, conflict can be caused by either short-term solvable problems or long-term problems that cannot be resolved, called "perpetual issues." Marriage counselors can teach social skills and problem-solving skills to couples experiencing short-term problems. Couples experiencing gridlock over a perpetual issue, such as different financial perepctives, can also benefit from counseling to learn to honor and respect the spouse's perspective. When determining if you need counseling, consider your communication patterns. Counseling can be helpful if you are uncomfortable talking about your feelings, if your arguments often stem from communication problems or if you struggle to effectively communicate your needs and wants. Communication patterns and needs change throughout the relationship. Sometimes major life events, such as having a baby, can lead to barriers in communication. 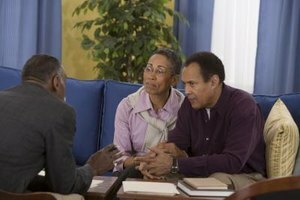 A marriage counselor can teach healthy communication skills and can assist you with identifying and overcoming barriers to communication. Unaddressed emotional or physical intimacy issues will likely to lead to decreased marital satisfaction. Couples who lack emotional intimacy have a decreased friendship quality to their relationship. As a result of having a decreased friendship quality, they may not spend as much quality time together and may not respond to one another's needs. A lack of sexual intimacy caused by stress, health issues or differences in libido can be its own problem. Sometimes, however, sexual problems stem from other marital problems, such as resentment or a lack of emotional intimacy. Intimacy issues aren't likely to resolve on their own, but with counseling, you can learn how to increase your intimacy and improve your relationship. If you or your spouse is dealing with serious individual problems, these problems are likely to take a toll on the relationship. A marriage counselor can provide education and help a couple find ways to address individual problems as a team. Mental health issues such as depression and anxiety can lead to marital issues. When one partner is struggling with an addiction, the marriage can suffer, making it important for both partners to participate in counseling. Sometimes individual therapy is needed to address specific problems, such as to treat an addiction, in addition to marriage counseling.